The majority of female college students would be SUPER EXCITED to open up a gift on Christmas or their birthday from Vera Bradley — no one can resist the bright colors and gorgeous prints. 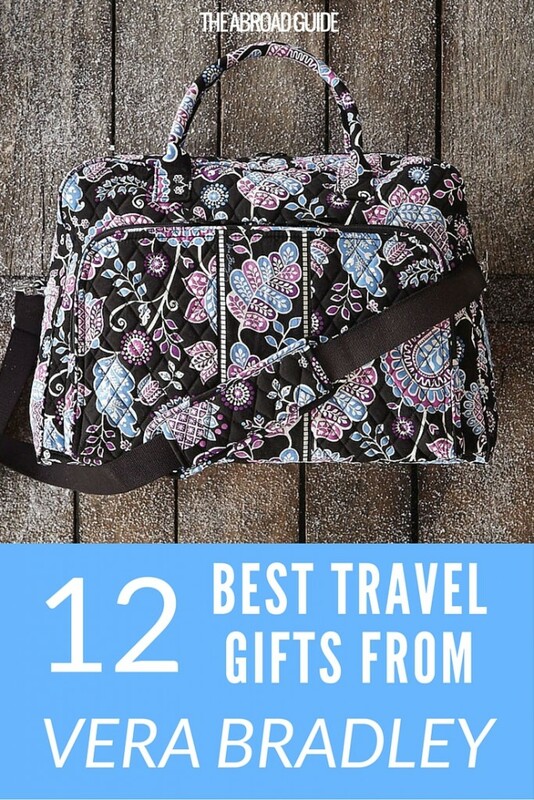 Vera Bradley makes tons of products that are GREAT for travel, so whether you’re studying abroad soon or just need a new travel bag for spring break, this Vera Bradley travel gift guide is perfect for you. 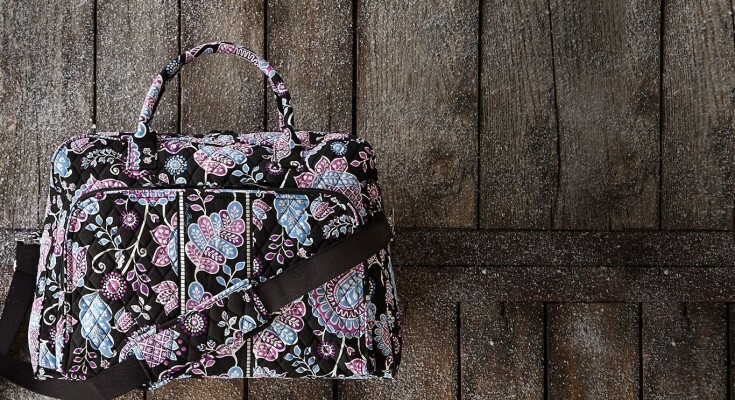 Send this gift guide to anyone who needs to get you a gift, or pick one of our suggestions for a gift for your favorite Vera Bradley-loving traveler. 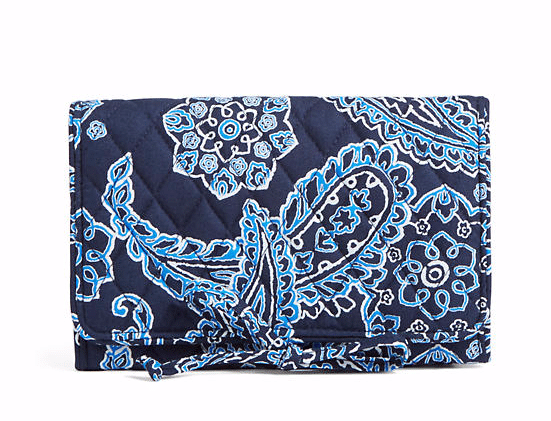 *This gift guide is part of a partnership with Vera Bradley and Her Campus Media. I picked the products that I think you guys will love the most for it and that are the best for travelers. Thank you for supporting the brands that make The Abroad Guide possible! 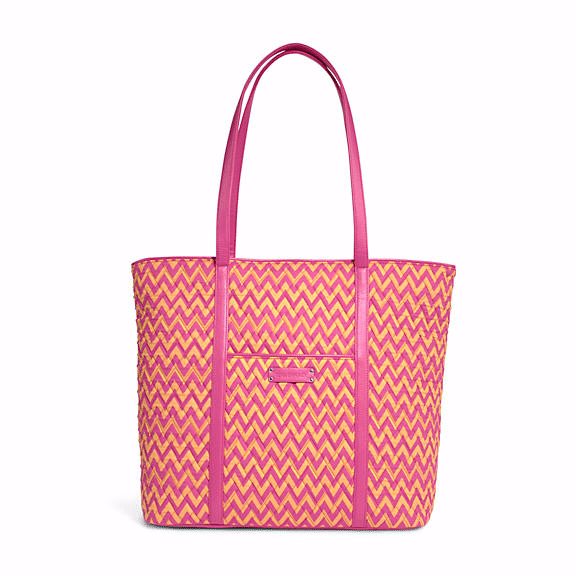 This Trimmed Vera Tote bag is small enough to fit under an airplane seat but still can hold a ton of stuff. 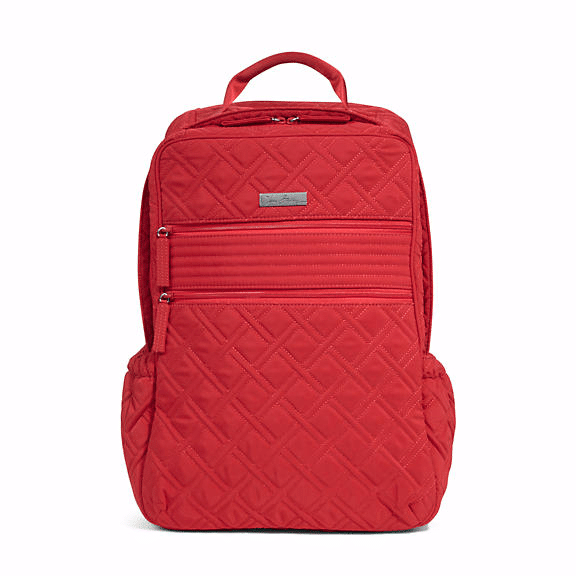 It’s got a sturdy base so it stands on its own when you need it to, and also has two outside pockets— one has a zipper so you can keep your passport and boarding card in there for easy access. 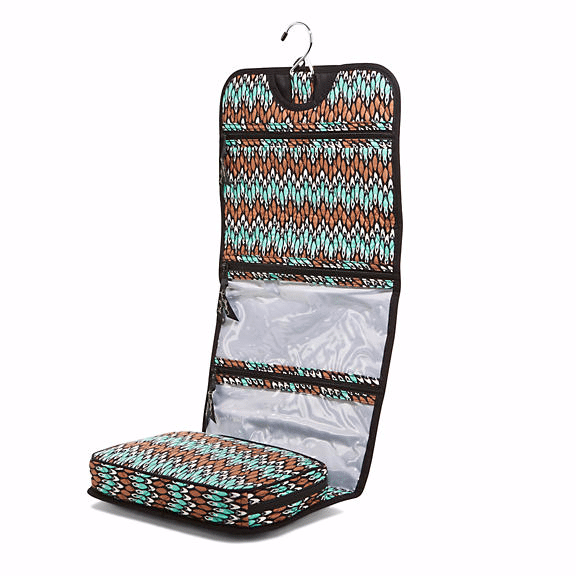 This cosmetic set is great for keeping makeup, brushes, jewelry, and other little bits and pieces organized in your travel bag. Keep things separated in the smaller bags, or throw it all in the clear bag which makes it easy to see everything. The linings of the bags are also super easy to clean incase anything spills while you’re traveling. More of a backpack than a duffle bag girl? 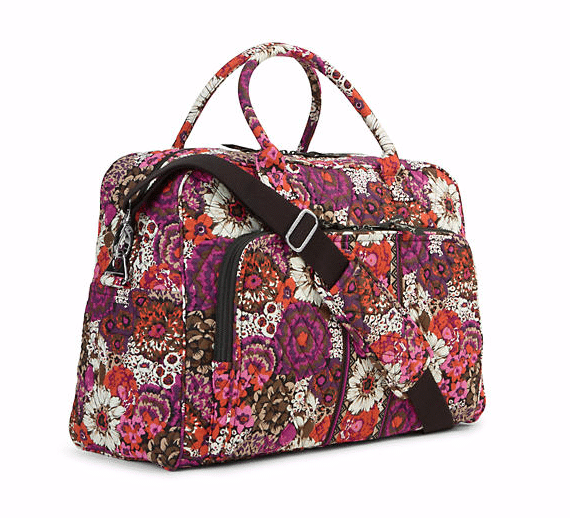 This Vera Bradley backpack is another good option for a carry-on bag as it has a padded laptop sleeve inside as well as a spot to hold your tablet. Just slide it under the seat in front of you when flying home for the holidays. Keep your jewelry safe and organized with this jewelry roll. It has a padded ring strap and an earring organizer, and the soft material lining it means it will be gentle on your delicate necklaces and bracelets. Great to use for when you’re heading home for the holidays or when packing your jewelry for your study abroad semester. Whether you’re just away for the weekend for traveling abroad, having to pack a hot curling iron or flat iron is a pain— and dangerous. 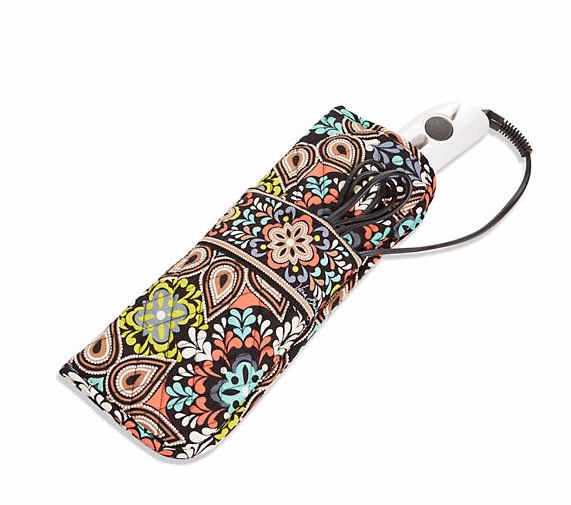 This Vera Bradley iron cover solves that problem— use it to wrap up your hot tools, and then you can just throw it in your bag and head to your destination. It has a pocket that helps tuck the cord away too. 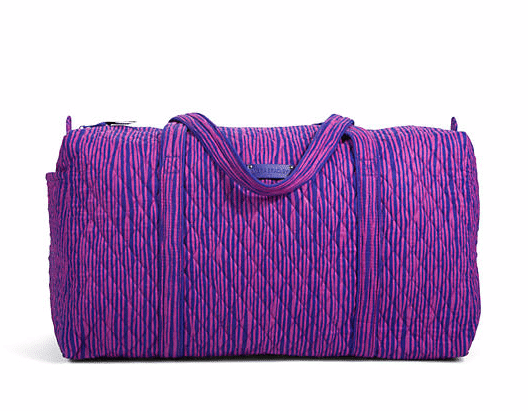 One of those classic Vera Bradley pieces, this duffel bag holds a TON but still is small enough to be carry-on luggage. It comes in 8 different patterns, but the one above is my fave. 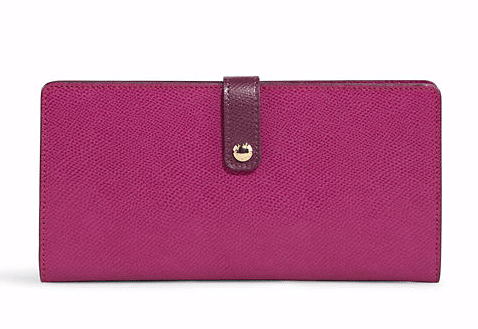 Keep your passport and all of your travel docs organized and in one place with the beautiful, slick-looking travel organizer. There are also 11 card spots, a zipper pocket and an ID window— this could be used as a wallet even when you’re not traveling. Holy gorgeousness. 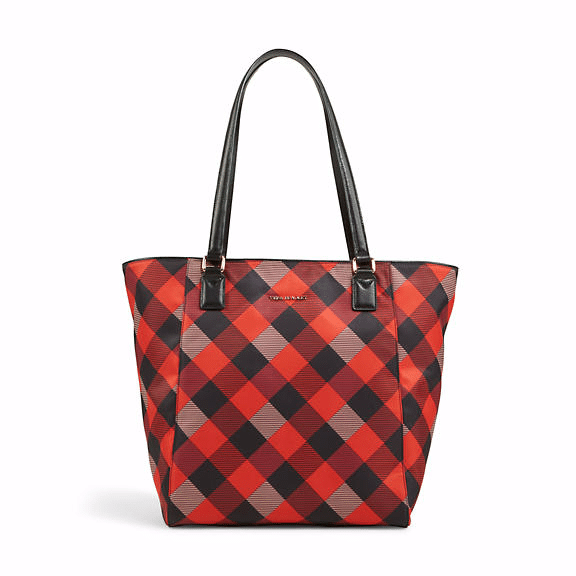 This water-repellant bag comes in Vera’s more modern and sophisticated prints, and zippers at the top for extra security of your valuables. This can be used during the week for classes or when you’re traveling on the weekends. They got smart with this one— I love that this weekender bag has a trolley sleeve so that you can slide it over your suitcase’s handles for easy carrying— amazing! 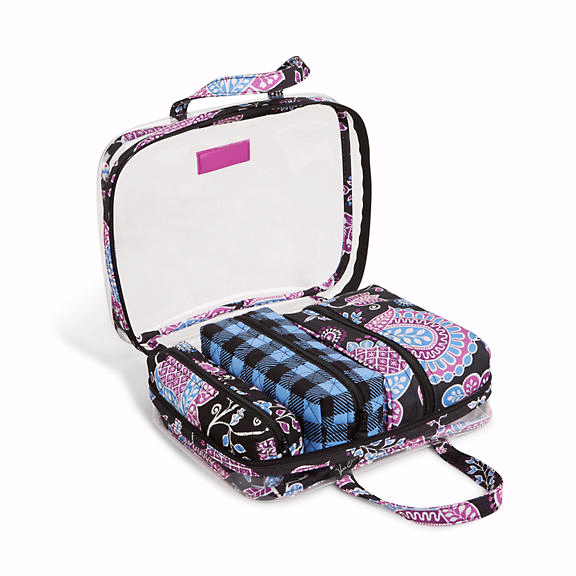 Lazy girls will love the Vera Bradley Hanging Travel Organizer. Pop your cosmetics, haircare, and anything else you need into the separate compartments, roll it up, and chuck it into your bag. When you get to your destination, hang it on the door for easy access to everything. Love. If you’re a huge earrings and rings girl, this travel jewelry case will make your life easier. 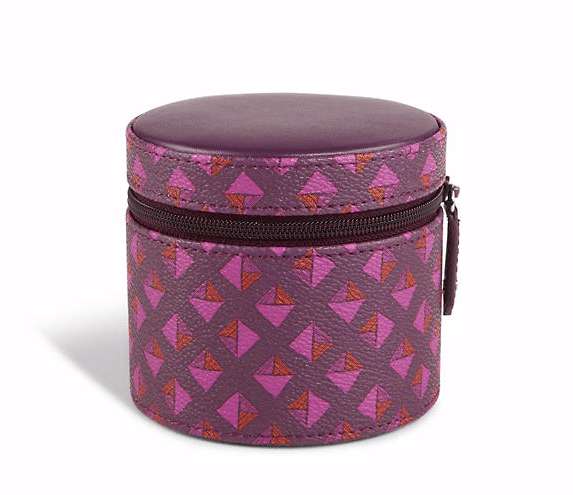 It’ll store all your baubles and studs in this sturdy case, keep them organized and protected. Plus, the print is just too pretty. While you’re at it– check to see if you like anything on the Travel Sale page too.